This orange & poppy seed pound cake is a true, mid-winter, blast of sunshine. It is (yet) another recipe from the holiday issue of Sweet Cakes published by The Best of Fine Cooking magazine. pound cake got rave reviews from Hubby & friends. Sift the flour, baking powder and salt together (I just whisk it together) and set aside. Put the sugar and orange zest in the food processor and pulse it for 20 seconds, set aside. With a stand mixer (using paddle beater) beat the softened butter and cream cheese together until smooth and creamy, about 2 minutes. Add the sugar and zest mixture and beat until light and fluffy (about a minute). Beat in the whole eggs, one at a time, stopping to scrape down the sides of the bowl after each egg. Beat in the 2 egg yolks and the vanilla. With your mixer on low, beat in the flour mixture, stop to scrape down the sides of the bowl a couple times. Beat until smooth. Spoon the batter into TWO greased and floured 9x5x3 loaf pans (or 8 mini loaf pans). Bake on center rack of a pre-heated 350F oven for 50 minutes (my oven took 55 minutes) or 25 to 30 minutes for mini-loafs. Cool in pan (on a rack) for 20 minutes, then turn out. Glaze while still warm. Bring orange juice and sugar to a boil, over high heat. Reduce heat and simmer until mixture thickens and reduces to ½ cup (3 or 4 minutes). Remove from heat and stir in the liqueur (vanilla). Keep brushing the tops and sides of the warm pound cake until all of the glaze is used up. NOTE: This pound cake has such a fresh clean taste and because it is just a little different, it would make a great gift for someone. YUM! this looks delicious..I havent had poppyseed cake or muffins in the longest time. I must change that! I love citrus quick breads and with a couple of people avoiding chocolate in our house, this looks exactly like the kind of dessert we need around here. This look really moist and good, I must try this one day. Thanks for sharing. 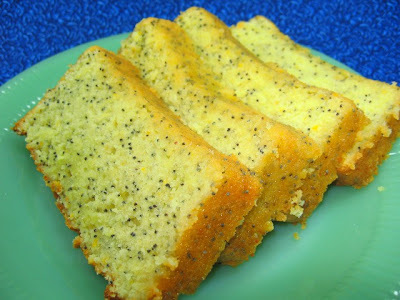 I love poppy seeds so this recipe was like a magnet for me. This sounds and looks fabulous. It's bookmarked and will be tried for sure. Have a great day. This sounds delicious! I love poppyseed. Looks like I need to buy some more poppy seeds so I can try this lovely cake. Thanks. i love orange flavored treats, this looks mouthwatering! Love your new picture of the lovely salad!!! Your orange pound cake is certainly my kind of cake. Thanks Coleen! What a gorgeous pound cake, Coleen! And that 'salad header' makes me want a salad now!! oh I love poppy seed cake. I did a report in 4th grade on a book about poppy seed cake and took a cake in for my project. It was a hit! Thanks for linking those mushrooms they look divine. I love stuffed mushroom. I always think lemon with poppy seed but orange sounds so fresh and crisp. Love the pound cake! You can't go wrong with a poppy seed cake. Looks fantastic! I want to dive into this with a big glass of milk~I love how there is cream cheese in this, too! Bookmarked! 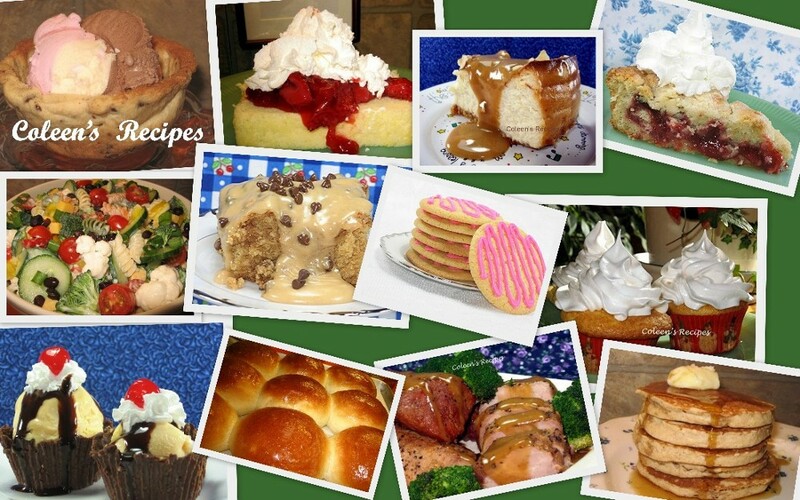 Totally irresistible with the flavors I love!! It's the cream cheese in this that intrigues me. So good. I'mloving this magazine. I just made another one of their recipes too! It looks really delicious and then you describe it with words like "moist" and "sweet" and I'm hooked!